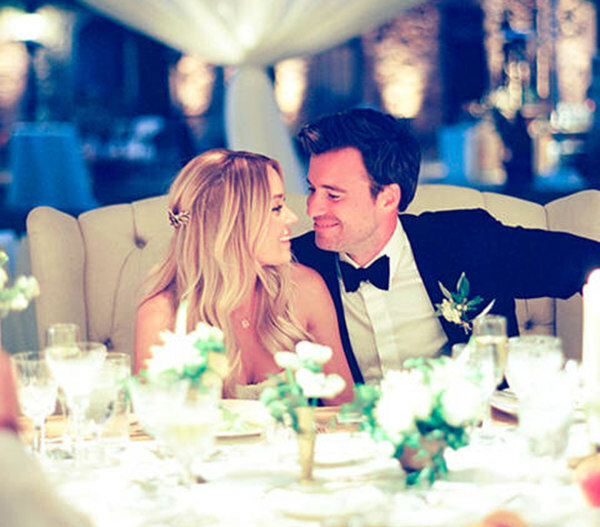 Nothing can spell beauty and perfection the same way that these Lauren Conrad wedding photos do. 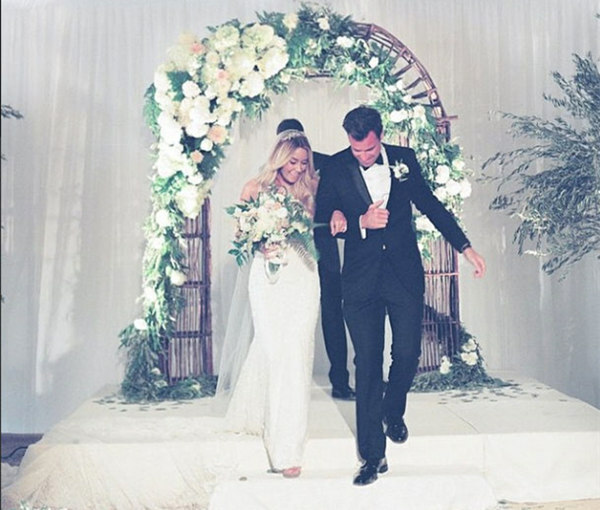 So if you are looking for Pinterest-worthy pictures that can be a great wedding inspiration, you definitely landed on the right page because this high-profile couple really knows how to exchange vows with style and sophistication in mind. Who would have thought that you can still keep the leaves on your bouquet without sacrificing elegance? 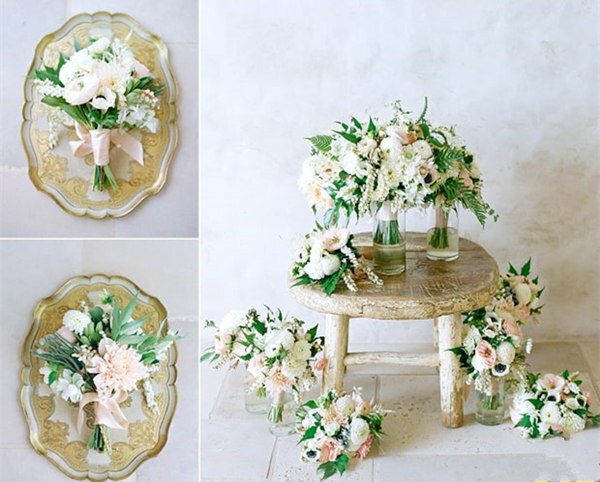 Made primarily with phoenies, dahlias and roses, these bouquets definitely magnify simplicity, class and purity. Indeed, the right flower and color combinations can go a long way. 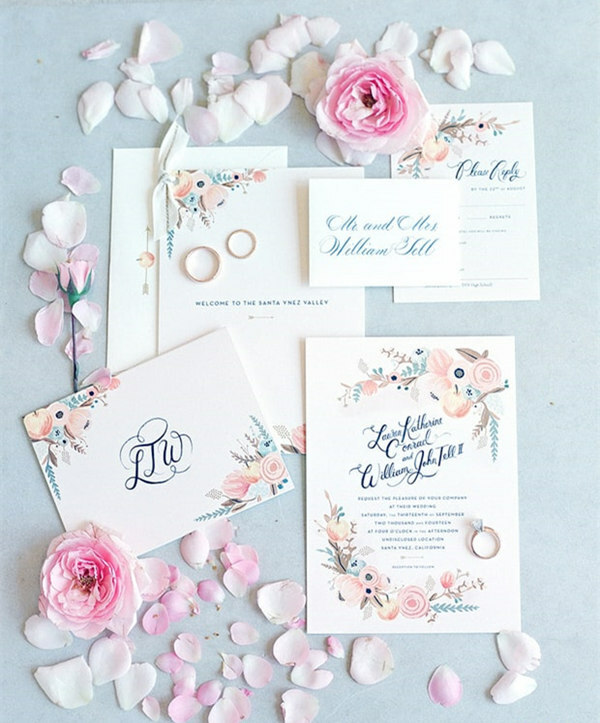 Who wouldn’t love these very subtle, yet creative ‘Save the Date’ cards? Even Conrad is a big fan of her invitation designer, Anna Bond. Well, no one can really blame her because these invites are to-die-for. 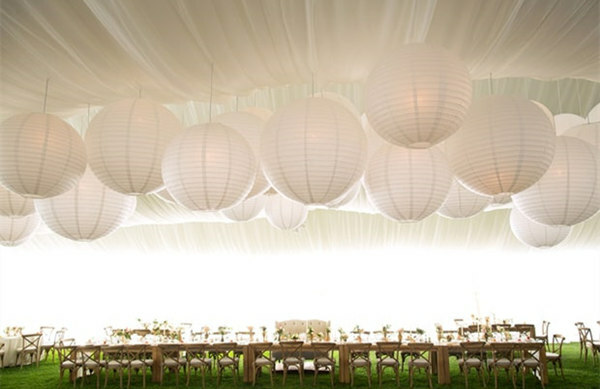 If you think those good old lanterns don’t deserve a spot in your wedding venue, think again. Conrad really did a great job in going for a simple and ultimately classy reception set-up. The design may be minimal, but hey, it definitely spells W-H-I-M-S-I-C-A-L! 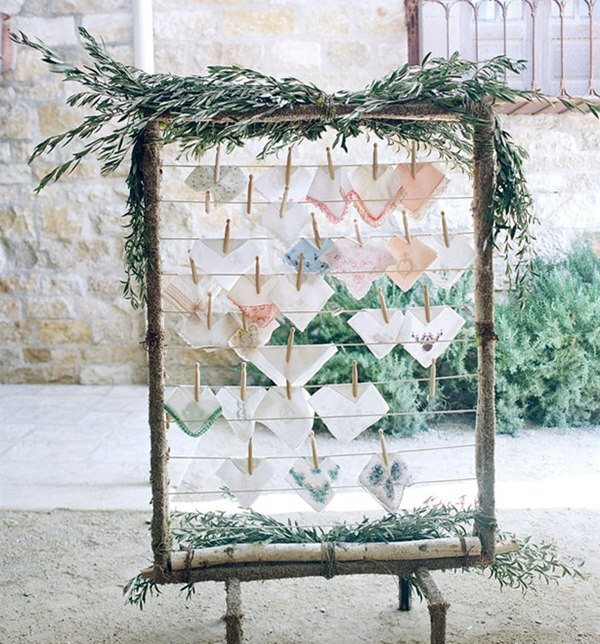 One thing special about Lauren Conrad wedding is the handkerchief display. While the celebration was flooded with high profile personalities and hunks, we bet you won’t be able to resist the urge of taking a closer look at Conrad’s amazing vintage handkerchief collection which was displayed on her wedding day. So if you think personalizing your day is ‘mission impossible’, take it from Conrad’s gorgeous hankie-display idea. 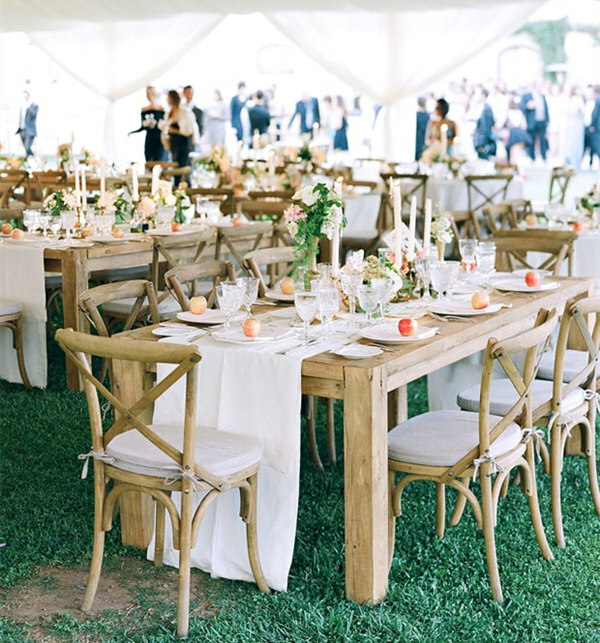 If you want to strengthen the venue’s rustic vibe, you can always turn to wooden chairs and elegant centerpieces. Just take a look at Conrad’s table and I’m sure you’ll know what we mean. 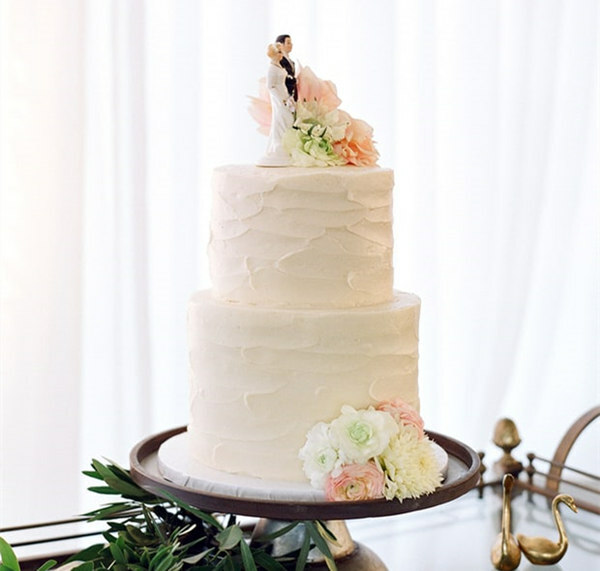 You don’t need to go over-the-top on the wedding cake décor because a simple topper, along with fresh flowers on the side, can make up for an elegantly-designed fondue treat. Love isn’t just in the air; it’s also in the cards. 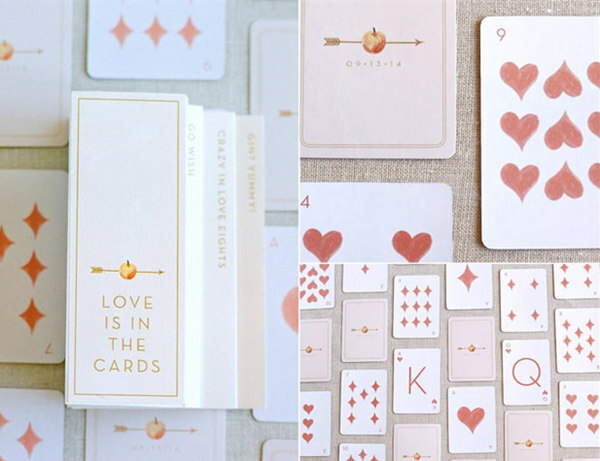 Since Tell and Conrad are huge fans of gin rummy, the couple decided to create personalized love cards to keep their wedding guests entertained. It’s natural to feel nervous before walking down the aisle, but hey, you don’t have to live with it. Just like Conrad, you can turn to a pre-nuptial routine that can calm your nerves. Not all brides-to-be are pleased with the idea of wearing a veil. But if yours is as gorgeous as Conrad’s, then you don’t have to think twice on wearing your veil. 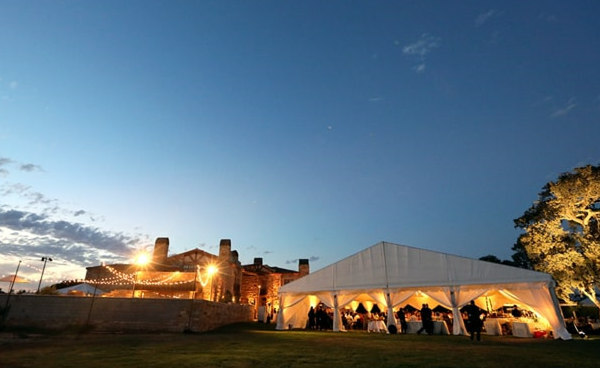 They say that a wedding’s success is also reliant on how responsive the crowd is. 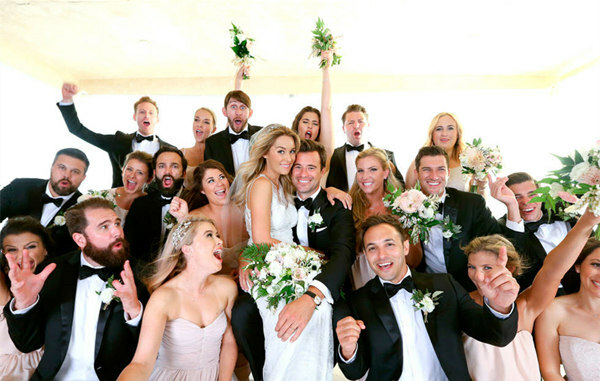 Well, from the looks of it, we can definitely say that Conrad and Tell’s wedding was a very joyous occasion. You can’t fake those big smiles, can you? What’s a girl got to do without her best friends? A wedding would never be complete without that mandatory shot with the bride’s girlfriends, would it? And yes, the bridesmaids were gorgeous too! For sure, all eyes were set on the aisle, thanks to these beautiful ladies! It looks like Conrad’s dad highly approves of Tell. Just look at how happy he is as he walks her daughter down the aisle. The wedding was indeed filled with so much love and joy! You can literally dance the night away with a setting as beautiful as this. 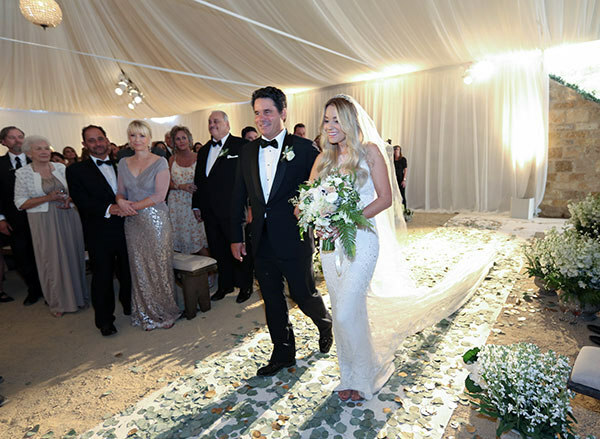 The laid-back and rustic charms of the Tell-Lauren Conrad wedding really made this occasion even more memorable. This 10-feet train can surely make any woman green with envy as it looks ultimately sophisticated and alluring. 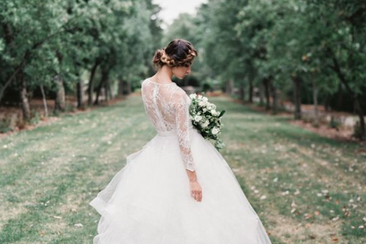 The intricate details of this gown is every bride-to-be’s dream-come-true. 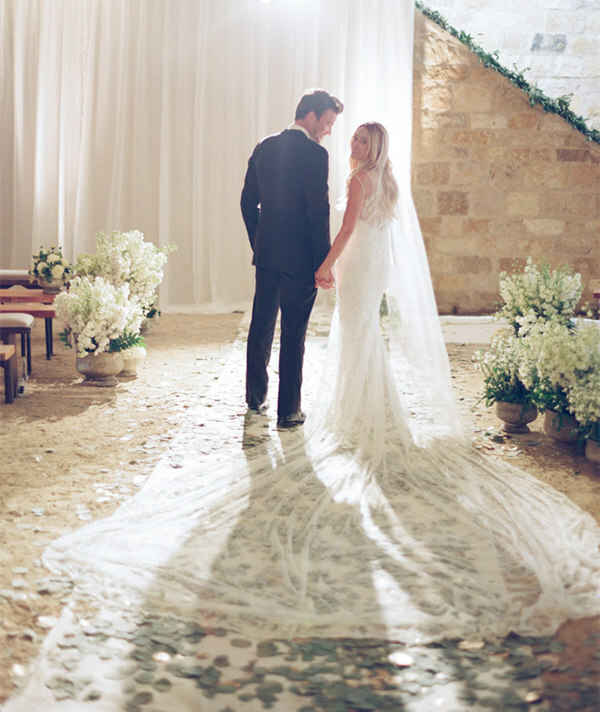 Don’t we just love that gorgeous aisle? But aside from the sophisticated wedding design, what we can’t help but notice in this photo is Tell’s undeniable look of love. It can absolutely melt any woman’s heart! 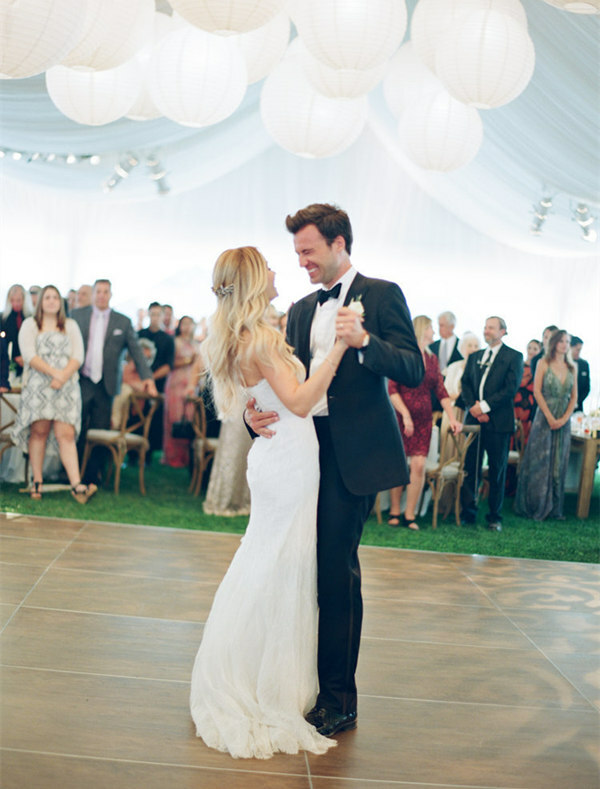 This picture paints a thousand words as it embodies what a first dance should be—intimate, romantic and cheerful. 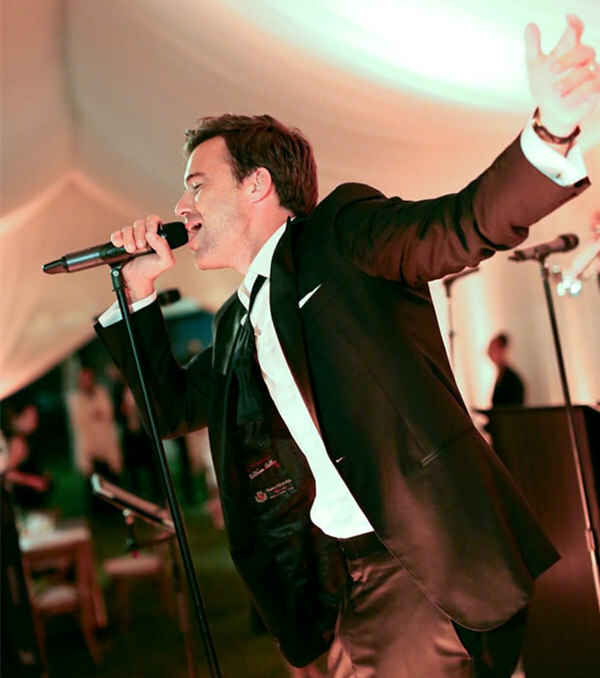 Yes, the couple was dancing on Cloud 9.
Who wouldn’t want to be serenaded at her wedding? Oh, Conrad is definitely one lucky woman. Sigh! Tell and Conrad can’t take their eyes off each other, and we got this photo as proof. As the guests were having their sumptuous dinner, the couple was spotted looking at each other like there’s nobody around. Love is truly in the air. 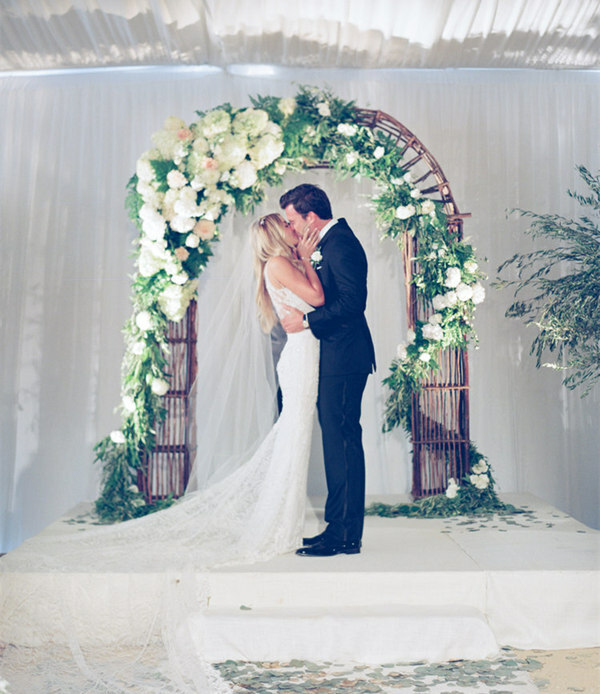 Of course, nothing could be better than the newly-weds first kiss as a couple. 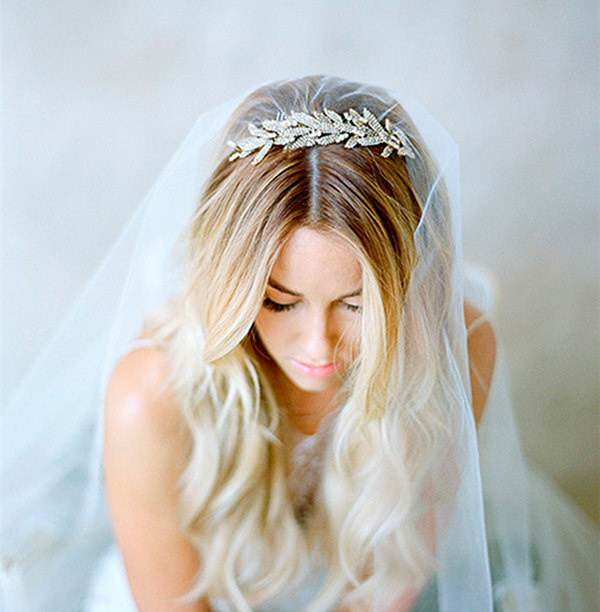 Indeed, Lauren Conrad wedding is more than just a dream for many women around the globe. It was not just classy and sophisticated, but also a day filled with so much love, passion and joy. The newly-weds really don’t mind kissing in front of cameras—proof that love should never be hidden behind closed doors. This beautiful photo will always be a reminder of their burning passion and pure love. 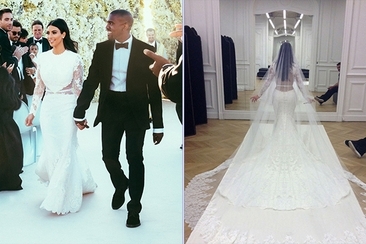 Wedding dresses through the decades give us tons of inspirations. 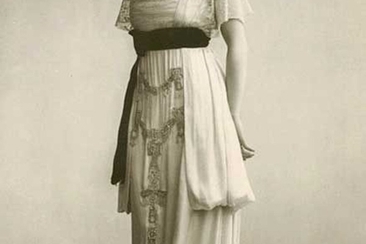 To check wedding dress fashion from 1910s to 1960s and vintage inspired wedding dresses, look no more! 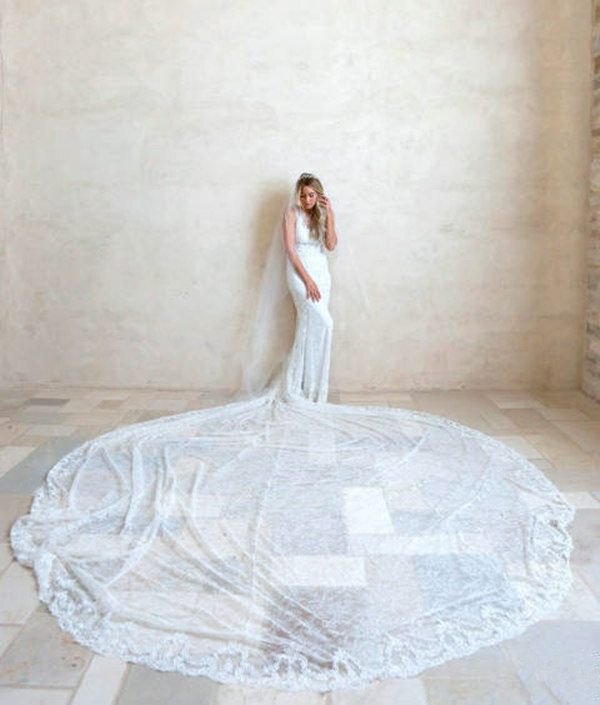 Rustic weddings are really trendy now and almost all the brides like rustic wedding dresses. To help you to find the perfect dress, we made a list of the most beautiful designs. Jason Statham and Rosie Huntington-Whiteley first got engaged in January. 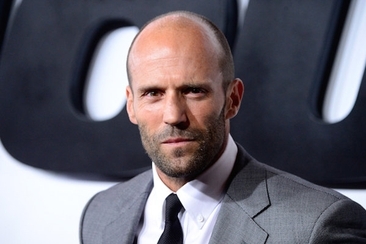 Now, rumor is that Jason Statham married Huntington-Whiteley in a secret wedding ceremony. Read on for more.